You’re looking at one of the most important cars of all time. The Raceabout was Mercer’s signature model and it was available in some form or another from a year after the inception of the company (1911) until the company closed up in 1925. What this is then is a Raceabout from the first year of manufacture. The car tamed a bit with age as it changed with the times, but these early cars are raw, performance machines. It is the original sports car, supplying a formula that cars would follow for the next 100+ years: big power, lightweight chassis, and a nimble chassis that meant a great motoring experience. The Type 35R was new for 1911 and was available as a four-passenger Toy Tonneau (Type 35) or the two-passenger Raceabout (Type 35R), like you see here. The engine is a 4.9-liter straight-four that supposedly makes 58 horsepower. It’s actually a relatively small engine for the times, and that’s a lot of power for such an elemental car. These were among the first “collectible” cars. This Type 35R was originally bodied differently but was converted to Raceabout form around 1945. It has known ownership history from new – and it’s been in the family of Henry Austin Clark Jr. since he bought it in 1949. That’s a long time. This is the earliest T-Head 1911 Mercer in existence, and it should bring between $3,500,000-$4,500,000. Click here for more info and here for more from RM in Monterey. 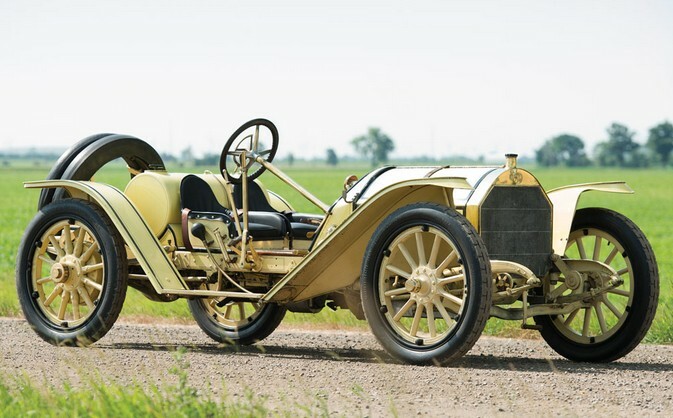 This entry was posted in Uncategorized and tagged 1911, auctions, cars, classic cars, mercer, raceabout, rm auctions, type 35r by classiccarweekly. Bookmark the permalink.